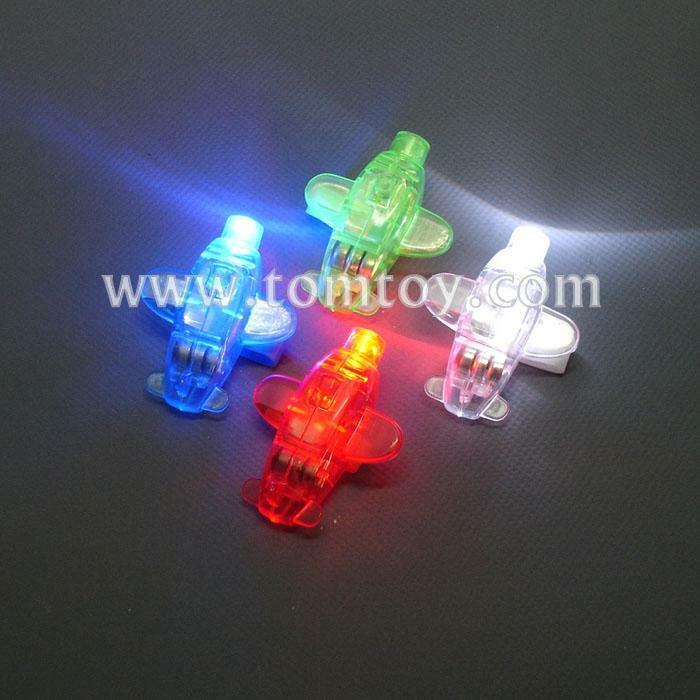 1.These airplane shaped Finger Flyers LED lights slide onto your finger and secure with an elastic strap. 2.Slide button forward to turn LED on for light years of fun! 3.Each pack contains 4 Finger Flyers with one color each of red, white, blue, and green. 4.Each light measures approximately 1.75 inches long and 1.5 inches wide. 5.Batteries are inaccessible and non-replaceable.